Juniper Ridge – On-site wildcrafted and handmade fragrances from the American West. Klean Kanteen – The Original. Premium quality, perfectly designed, innovative and safe stainless solutions, from a company dedicated to environmental advocacy and transparency. 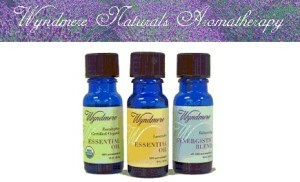 Wyndmere Naturals – The best in therapeutic grade essential oils and aromatherapy products, including synergistic blends and roll-ons, air mists and diffusers.